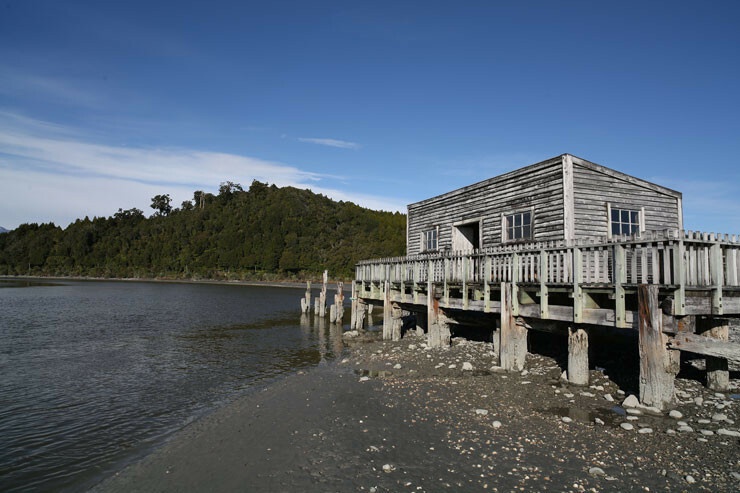 If you know anyone from New Zealand you will have likely heard the colloquial use of the word ‘kiwi’ – the kiwi is our national bird, and what a bird it is: sleeps all day, wakes about half an hour after sunset, and is rarely seen or heard…. I’ve spent almost my entire life obsessing about sound & yet I had never heard a kiwi vocalise with my own ears…. 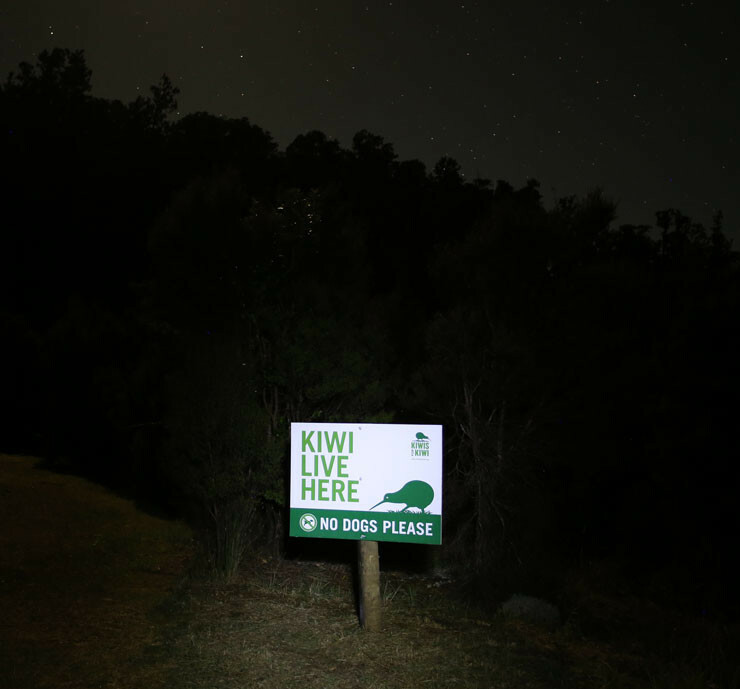 So when a friend visiting from Japan said he would like to ‘see’ a kiwi, I gently explained that unless you can see in the dark you do not usually see a kiwi & that most people who live in New Zealand have never actually seen a kiwi. 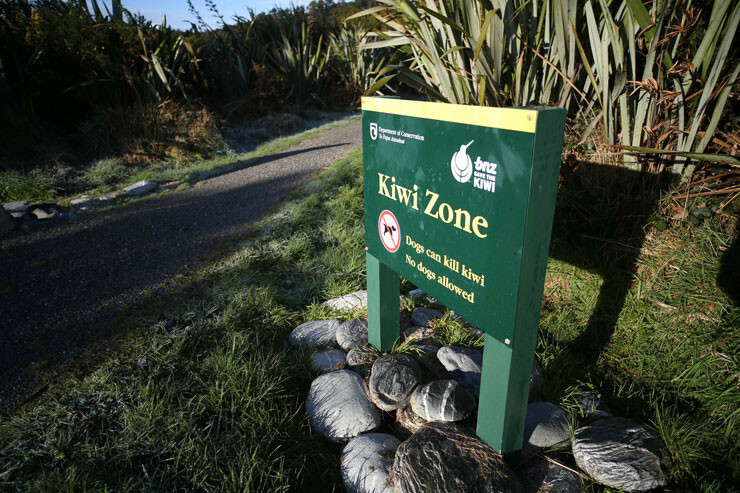 He checked on TripAdvisor and discovered even people who visited a kiwi enclosure at a zoo in NZ complained that the ‘kiwis were all asleep’ – but really, what else would you expect, visiting a nocturnal bird during daylight hours? 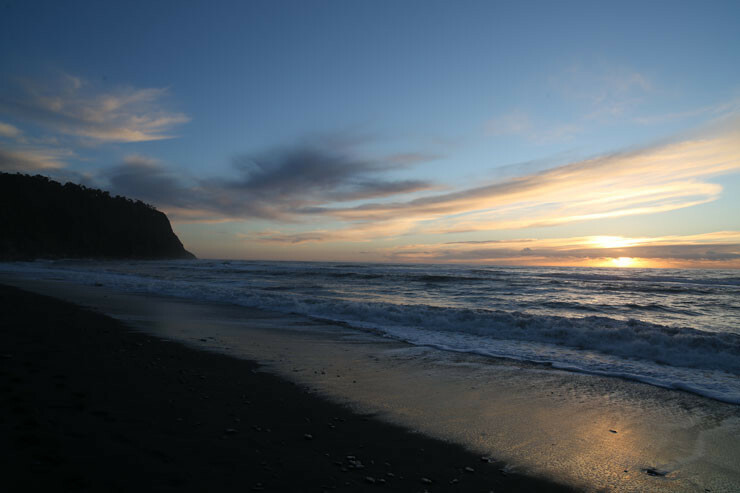 I’ve made dozens of road trips down the West Coast, it may well be my favourite part of the country, but despite having driven past the turn off I had never actually been to Okarito. So I sent an email off to Ian Cooper, who runs Okarito Kiwi Tours and asked him what were the chances of us (a) doing a tour and (b) hearing & recording a kiwi. 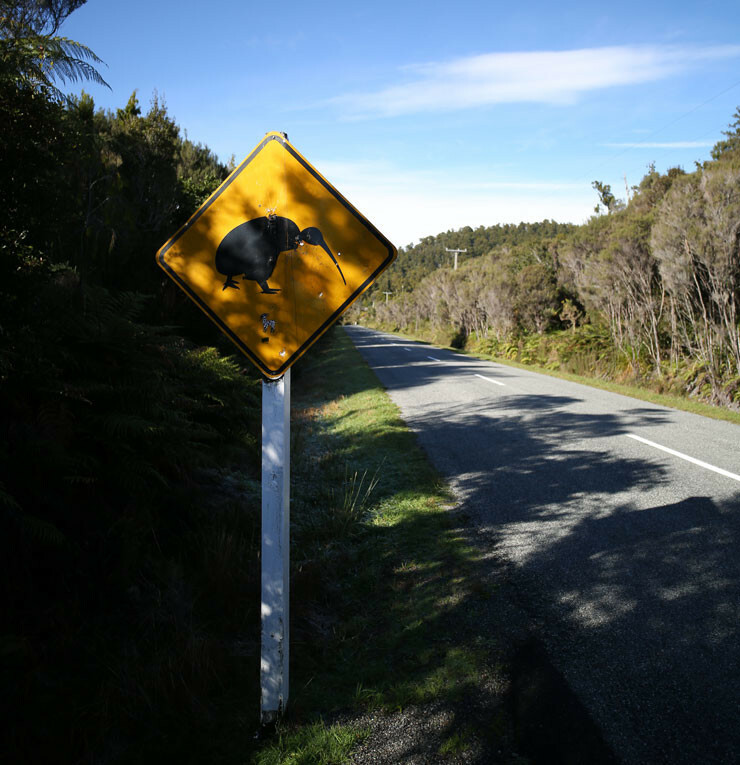 A few emails & phone calls later & we were confirmed, but with a caveat: his close relationship with the Rowi (Okarito kiwi) means he has over a 90% success rate of seeing kiwis, but hearing them was totally unpredictable. They may not voicalise at all on any given night, or they may sing once at 8pm or once at 3am… no guarantees but if we were keen he would do everything in his power to put us in the right spot to capture sound when/if they do vocalise… Challenge accepted! 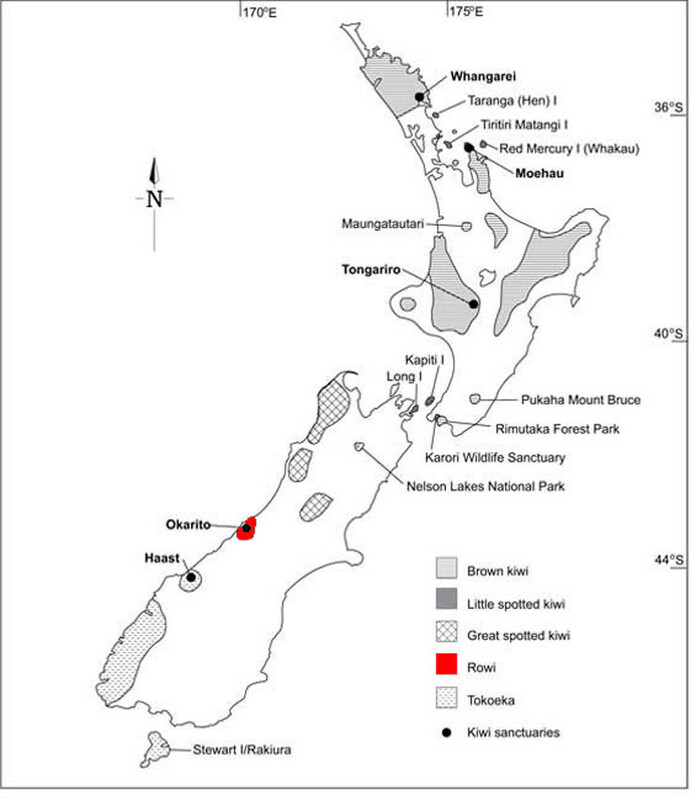 A bit more research & I slowly began to realise the extent of our plan: the kiwi we were aiming to record was also the rarest in extistence! 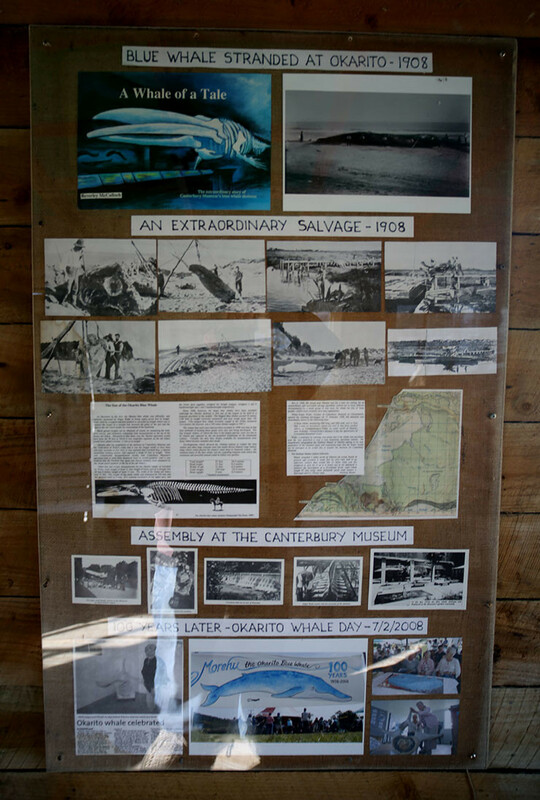 The interior walls of this great old boat house on the edge of the estuary displayed some of the fascinating history of the area, and I was surprised to learn that the fully intact Blue Whale skeleton that I admired as a kid at the Christchurch Museum was actually recovered from the sea near here in 1908 & duly transported across the alps to be preserved! 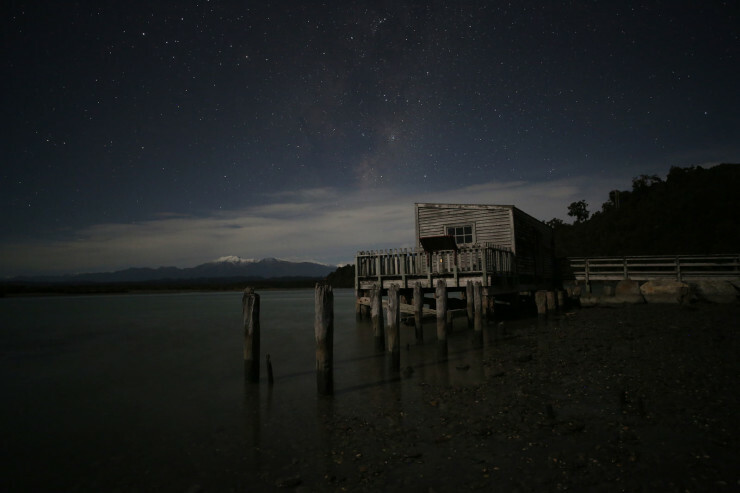 Ian had told us the kiwis usually wake 20-30 minutes after sunset, and then begin foraging…. So he made sure we were in position & recording well before then…. And so the waiting began… I had carried in a stereo pair of Sennheiser MKH8040 mics & a Manfrotto stand, plus an MKH8020 in a Telinga dish, capturing sound via a Sound Devices 744 recorder and 302 preamp. He could tell their approximate distance from us using his tracking device, estimating them to be just over 100m from the track, moving in parallel to us… Suddenly the long awaited crunchy footsteps were heard, with my headphones cranked up & slowly moving the Telinga dish from side to side attempting to localise the source I suddenly froze, as the most ungodly sound I have ever heard began! 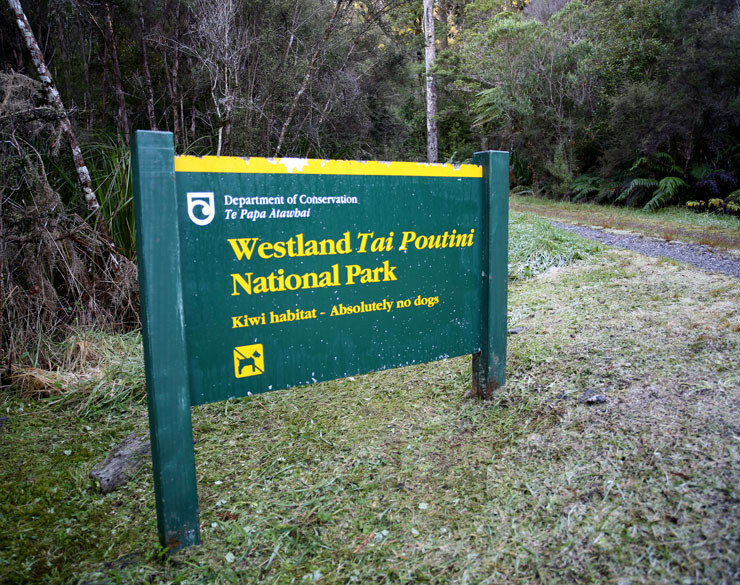 First the male kiwi screeched, and bear in mind I was monitoring via headphones at such a level that a footstep sounded big, so the screech was like someone standing right in front of me screaming their lungs out!! I grimaced & froze: this was such a rare event I wasn’t going to risk ruining the recording by bumping the mic! 8.30pm light fire, check recordings, celebrate! 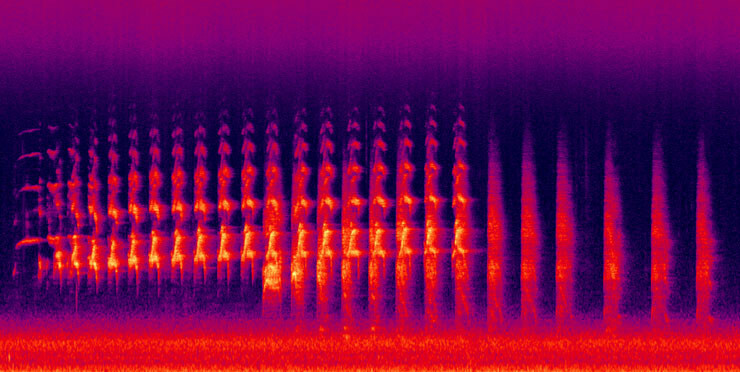 A nagging anxiety of having successfully captured such an awesome sound remained until I could check whether the recording actually sounded as great as my memory of it. And given I was monitoring so loud I was a little worried I had actually distorted the recording – I know the 8040s can handle VERY loud sounds but had I cranked up the preamps too much!??? I transferred just ‘KT10’ to my laptop, split the poly file and first checked the 8040 pair… YES!!! Next the 8020 Telinga rig… YES!!!! I was thrilled – we had achieved the most unlikely of goals: to record the rarest kiwi, in their natural habitat. And we’d succeeded! We’d had to work hard & be well prepared, but there is no doubt in my mind that it was a gift: that kiwi pair chose to sing for us! God/Jah/Buddha bless them and those who work so hard to protect them. Thank you Ian for being such a gracious & encouraging host. And to Hide, who motivated the trip. And to Fiona & Stu, random travellers who we shared a truly amazing experience with! Lastly, if you’ve appreciated me sharing this adventure can I ask a small favour? 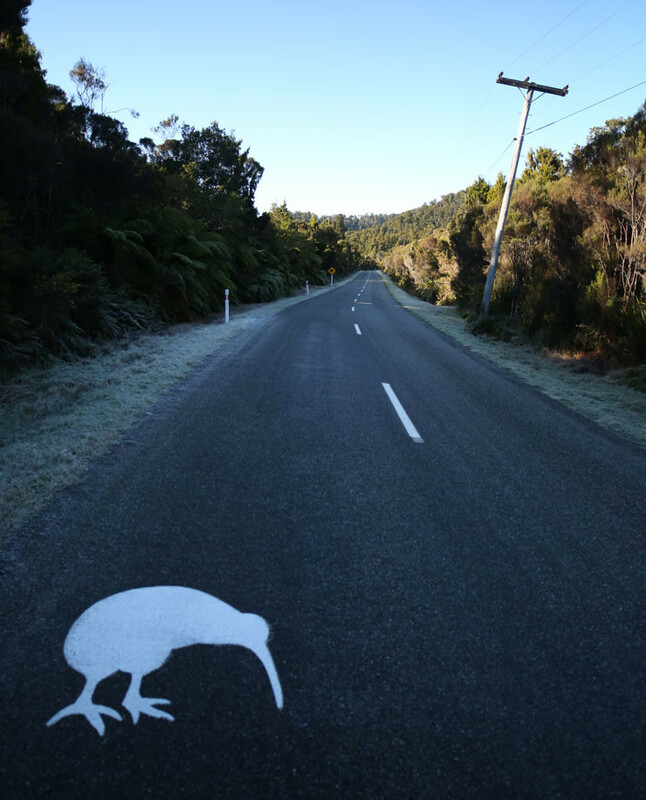 Kiwis are an endangered species & need our help to survive – Kiwis for kiwi is carrying on the years of dedicated work by BNZ Save the Kiwi Trust, to help protect kiwi and the places they live. Please visit their website HERE and consider making a donation to help support their efforts! Holy s***, they sound nothing how I imagined them. Fantasticsounds & recordings, and nice story! Congratulations, Tim. Wouldn’t it be great to hear this as a Morning Report birdcall? Tim…..What a great night we all had….The recordings are great, the call at half speed is very pre-historic. I am glad we all achieved something very special….thanks for your efforts and diction. And sincere thanks to you Ian, for sharing your knowledge & enabling our experience – I shall remember this night forever more! Thanks for sharing Tim, what a wonderful story and set of recordings. I do hope RNZ take you up on your offer! Thanks for sharing this story Tim. I’m so happy your perseverance paid off!!! CRAZY! I wouldn’t have blamed you if you’d charged us for the privilege of hearing this, and I probably would have paid. Thanks for sharing it with the world. Great work, those are amazing sounds. I had no idea about their status or their habitat. Thanks for sharing and congrats on capturing such a unique and rare sound! Amazing story. I love reading field recording stories like these (especially when they end in success). I didn’t think the birds sounded like that. Such a unique sound. I bet someone could make these into mythical creatures. Also when I played the files, my cat perked up and ran out of my room scared. Amazing story and all for a great cause! Tim, you do great work for the world of sound and the world of conservation. The recordings are brilliant, and thanks so much for bringing them to my ears half a world away. wow! excellent recording! thanks for sharing the sounds and your story, Tim.